Whatsapp Statuses was rolled out some few months ago an it has been a very good update from the whatsapp team. 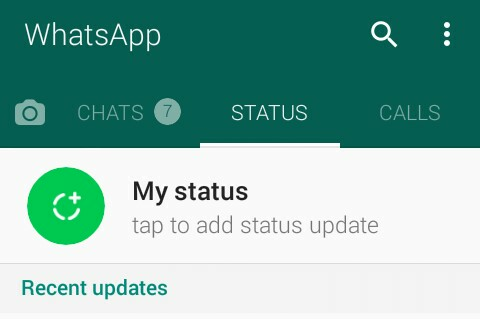 The new whatsapp status feature enable users to share pictures and videos on their status which lasts for 24hours only, after which its automatically deleted by whatsapp. Most users get pictures and videos they like by requesting it be sent from the person that posted that status. So you don't have to ask someone to send you a picture/video you viewed. 2. Press "option" key>settings>check "view hidden files"
3. Go back to the File Manager and scroll to the whatsapp folder.